According to psychologists, there are roughly 10 reasons why relationships fail. These include trust issues, unmet expectations, and compatibility to name a few. Fighting consistently can also lead to a troublesome relationship, and if handled poorly, could end the relationship altogether. While fighting in a relationship is normal (no one is perfect!) there are ways to stop fighting and handle your conflict with poise and understanding. Fighting well takes time and commitment to get to the root of the problem no matter what it is. If you’re in a relationship where you find yourself fighting more than having fun with your significant other, rest assured, there are ways to stop fighting and enjoy each other more. If you’re tired of fighting with your significant other, here are some ways you can halt it before it gets worse. It’s normal and natural to want to become immediately defensive when a fight erupts. You may feel attacked, wronged, or blamed for something you didn’t do. Taking criticism or statements from your partner as personal only adds fuel to the fire. But, objectively evaluating the situation is the best course. Did you say or do something causing hurt to them? If so, work to make it right. This could include apologizing, fixing what happened, or just asking how you can make it right. Often, it isn’t about you as a person, but what happened. Be receptive to what the other person has to say and internalize it, asking questions if you need to. Often during a fight, our thoughts and emotions can become cloudy or irrational. Fighting in this mindset causes more discourse, as we typically say things we don’t really mean. If the argument becomes too heated, step away for a while and regain your perspective. Allow your mind to cool down by taking a walk or spending some time alone. Usually, you can approach the conflict with a renewed attitude once you clear your head. In our digital world, we can think before we text giving us an opportunity to control our conversation. But not everyone reads texts and tones the same way, and your partner could be taking what you ‘say’ completely out of context, paving the way for more fighting. When people fight face-to-face body language is clearer and it’s easier to pick up on vocal tone. If an argument is especially complex or intesnse, long, drawn-out text messages are difficult to type out and are best discussed in person. Fighting becomes out of hand when you attack the person’s character instead of the problem itself. Swearing, yelling over each other, and avoiding the real problem can all mount and the fight becomes an all-out war. Sit down with your partner and discuss some boundaries for when you fight. For example, one person may speak first in a respectful tone with no yelling or name calling. These destructive behaviors redirect you from the issue needing attention and create an unsafe space for each other to feel heard and accepted. Though the honeymoon phase of your relationship might be waning or completely over, it doesn’t mean it’s a lost cause. Many people go on to have successful, deeply fulfilling relationships long after they’ve first started dating or after the first years of marriage. This could be because they remembered why they’re in the relationship and what they love about their partner. They realized their lives are better with each other than without. Though everyone has their baggage and personal problems, there’s good to remember and this gives the relationship something to fight for. Couples who allow problems to intensify break up sooner than those who approach conflict quickly. Not speaking up and letting our feelings simmer brews unspoken resentment or bitterness which could permeate the relationship. This is damaging, especially if the other partner does not know. 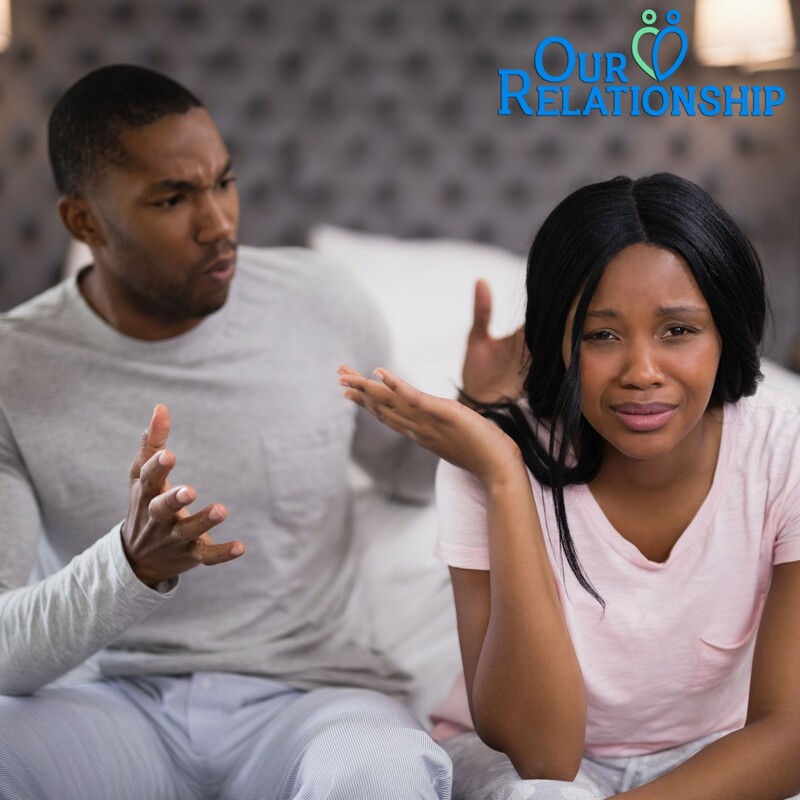 Coming clean about our feelings or issues and laying it all out on the table forces us to work through those problems so there’s nothing weighing on our minds throughout the course of the relationship. If the fighting seems too difficult to handle on your own, or you’re feeling lost, consider couples therapy. Couples who choose to receive therapy can learn to relate to and understand each other better, and themselves. Therapy gives you an opportunity for a third party to peek inside your relationship and identify problem areas you may overlook. A good therapist provides practical steps to work towards peace in your relationship. They can offer techniques to help you work through arguments and disagreements. Couples therapy is a wonderful outlet to express your thoughts. Keep in mind, therapy goes both ways. While the therapist or counselor aims to provide you with constructive feedback, it doesn’t work unless you both commit to saving the relationship. The stresses of our lives can trickle into our relationships. While it could be that things outside of your relationships are causing you stress, it’s true the relationship itself is just stressful. Think about taking time apart from each other for a time. It could be a weekend alone or with friends just to enjoy someplace or something you love. Be encouraged at times couples need to spend time apart. This could be for various reasons completely individual to the couple. It’s not necessarily a sign the relationship is in trouble. Nevertheless, time away provides you with a different perspective on your relationship. If you return believing the relationship is at an end, discuss it with your partner. Every couple goes through rough patches but constant fighting in a relationship is tiring and draining. When you stop fighting, you enjoy your relationship – and each other – more. Take these steps to your next argument and learn to solve the conflict in a healthy and productive way. Looking for more relationship advice? Let our experts help you! Contact us today to learn how you can have a vibrant relationship.